King Harald's Saga Janice Jackson, soprano King Harald's Saga, Grand opera in three acts for unaccompanied solo soprano singing eight rôles (based on the saga 'Heimskringla' by Snorri Sturlson, 1179-1241) is a monodrama by Judith Weir, and premiered on May 17, 1979. The score was published by Novello in 1982, and lasts under ten minutes, making it a candidate for the shortest opera, and is possibly unique in having no instrumental accompaniment. 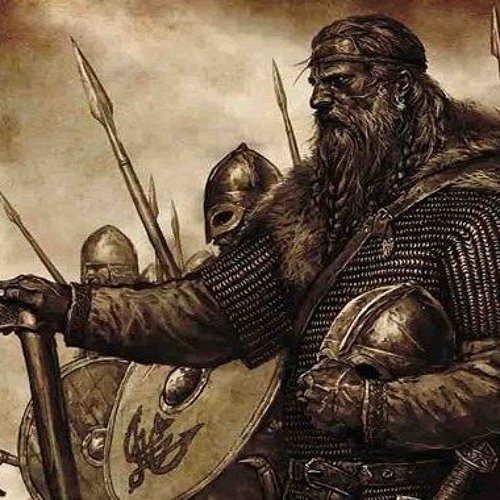 Act 1 King Harald sings of his exploits: "Whereas my brother the blessed and holy man Olaf said: Love thine enemies, I say: sever their limbs until they cause no trouble." A distant fanfare announces the arrival of Earl Tostig, an English traitor who urges Harald to invade his homeland. Act 2 Harald's dead brother Saint Olaf appears in a dream to warn him the expedition is ill-fated, but Harald give the order to depart. His two wives sing a duet of farewell. Act 3 The Norwegian Army lands at Scarborough, singing a chorus of praise for their leader which is interrupted by a messenger warning of the approaching army of Harold II of England. A surviving soldier narrates Harald's death in the battle of Stamford Bridge. Epilogue An Icelandic sage watches the corpses being brought back to Oslo: "I could have told him it would end like this."